What do I think of James Franco as an actor? Well, he is certainly eclectic. The man is not a terrible actor, as long as he applies himself to whatever role he is in. I think his off screen antics are what make people question his ability and talent as an actor. Nonetheless, his IMDB page still shows him getting plenty of work. About two weeks ago, while watching TV, a Scion ad for their new iA sedan and iM hatchback appeared and it stared none other than, James Franco. Normally, when an actor resorts to shooting these sorts of TV commercials, they are either at the end of the career and desperate to get work, or are just bored. It is hard to tell what the case is with Mr. Franco, but needless to say, it was this TV commercial that oddly piqued my interest in the Scion iM. Let me start by saying it is not that I do not understand why people do them. There are certain cars out there that come from the factory with a dual outlet exhaust system, but does not really benefit from it aside from looks. There is also the fact that most single outlet exhaust systems will weigh much less than dual outlet systems. What I do not understand is why people do the dual to single conversion, and then just leave the unused exhaust cutout on the bumper. Take my S2000 for example. There are a ton of single outlet aftermarket exhaust systems for the S2000. Even though it looks much better, the S2000 really does not benefit from having a dual outlet exhaust system. Taking a closer look at the S2000's full exhaust system, you will notice that the exhaust headers feed into a single pipe. Besides the fact that most inline engines would never benefit from the exhaust header feeding into more than one pipe, the car was not designed for more than one pipe anyway. In this sense, doing the dual to single conversion makes sense. It also helps that many of the single outlet systems designed for the S2000 are much lighter than their dual outlet counterparts. However, look at the above picture and take a good look at the bumper. How unsightly is it to see a giant, unused gap in the bumper? It just does not look right. If the average Joe saw that, they would wonder why you removed a chunk of your exhaust system and left a big gap in the bumper for no reason. Another car this happens to a lot is the Scion FR-S/Subaru BRZ. Look at the first picture of that white FR-S. Again with the unsightly and unused exhaust cutout. The bumpers were designed like that because they were designed for dual outlet exhaust systems, folks! Thankfully, there are companies that make aftermarket bumpers that have the unused exhaust cutout removed. Ultimately, this makes the car look much cleaner without the big gaping hole in the bumper. Just take a look at this black S2000. It almost looks as if it came out of the factory looking like that! There are also companies that just make caps that go over the unused cutout. Frankly, slapping a cap over the unused cutout looks really tacky. It is the same with car manufacturers that are too lazy to make two separate bumpers for cars that are available with both single and dual exhaust outlets, and just slap a cap over the unused outlet on their single outlet cars. If you are going to go the single exhaust outlet route, at least do it right and clean up the look so that it looks clean and sleek, not tacked on and cheap. Ultimately though, I believe that cars that come from the factory with a dual exhaust look best with a dual exhaust system. 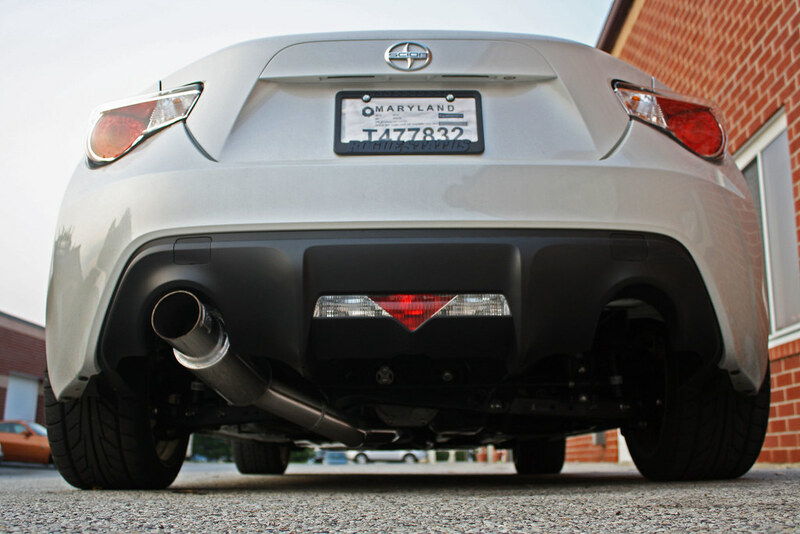 Whether you stick with the factory exhaust or want to enhance the sound and power output of your car with an aftermarket system, if it comes with a dual exhaust, I think you should stick with it. Yes, it may weigh more and yes, the car may not actually benefit from maintaining a dual outlet setup, but ultimately the weigh difference is usually not much and it just looks better. Besides, when the vehicle was originally designed, the designer probably designed it with a dual exhaust because in the first place. Why go undo what the designer spent months, or even years to create? Since our last update, I have not spent as much time with the MDX as some of our other long-term vehicles, but what time I have spent continues to be enjoyable. Despite my aversion for all things SUV, there is no arguing that the MDX is an incredibly capable and comfortable family hauler alternative with as much or as little seating or cargo space as one could possibly need. Of course, one of my favorite features of the MDX has nothing to do with comfort, but everything to do with style and safety. 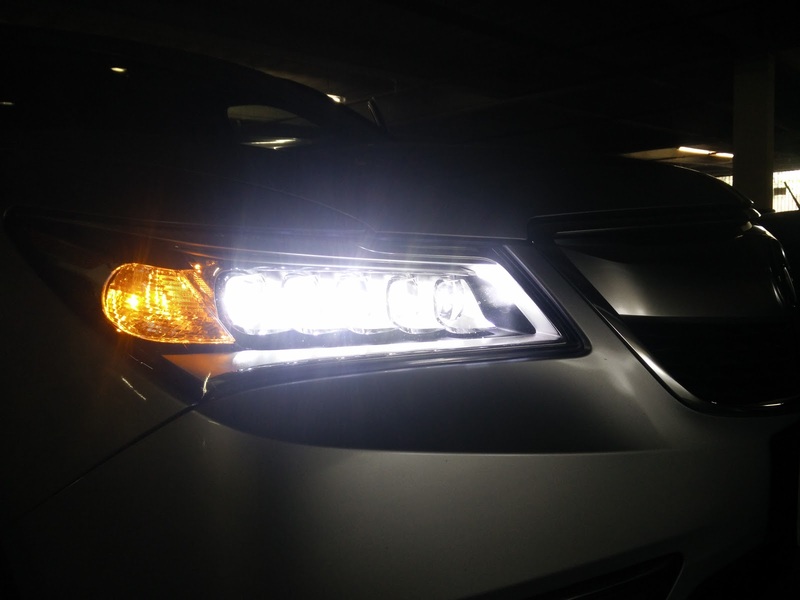 Our 2014 MDX, along with all of Acura's current line-up, comes with the brilliantly implemented, if awkwardly named, JewelEye LED headlamps. 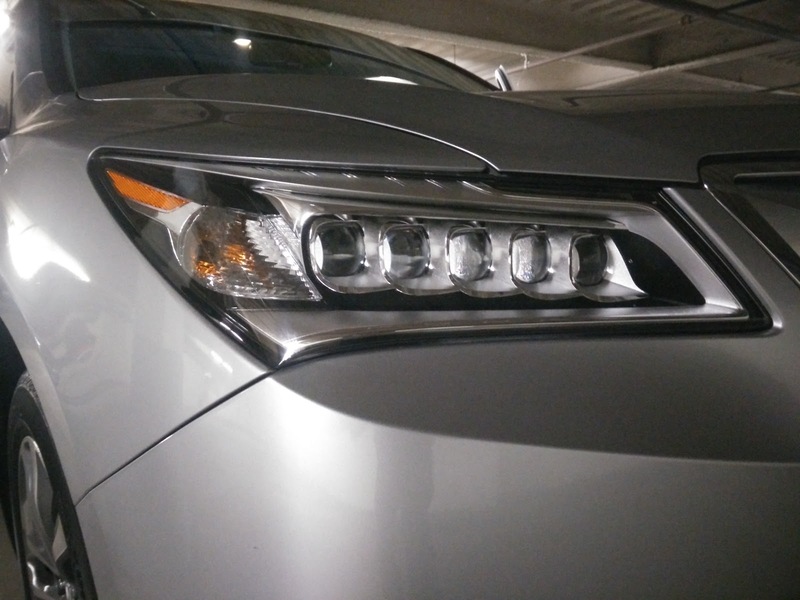 The MDX's five-lamp arrangement is the more prevalent setup in the line-up as opposed to the ten-lamp arrangement that is unique to the RLX. On the MDX, the five individual LED elements are each wrapped in a separate housing with its own focusing lens that is then wrapped up within the larger headlight cluster. During the day, smaller upper elements light up all five elements and serve as a daytime running lamp (DRL). As the sun sets, the low-beams come on and light up the outer three lamp elements. The two inner lamp elements serve as the car's high beams. Looking at the LEDs, you feel like they are quite small and must not be able to provide all that much light, which was a real concern for me when I first saw the MDX in photos. 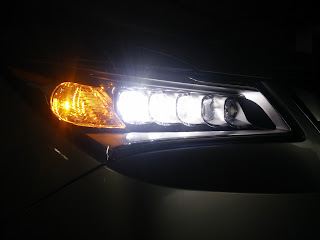 However, after using the LED headlamps in nighttime driving, I am fully convinced that LEDs are, without a doubt, the right way to go in the future. Similar to xenon high intensity discharge headlamps, LEDs provide a whiter, more natural light. 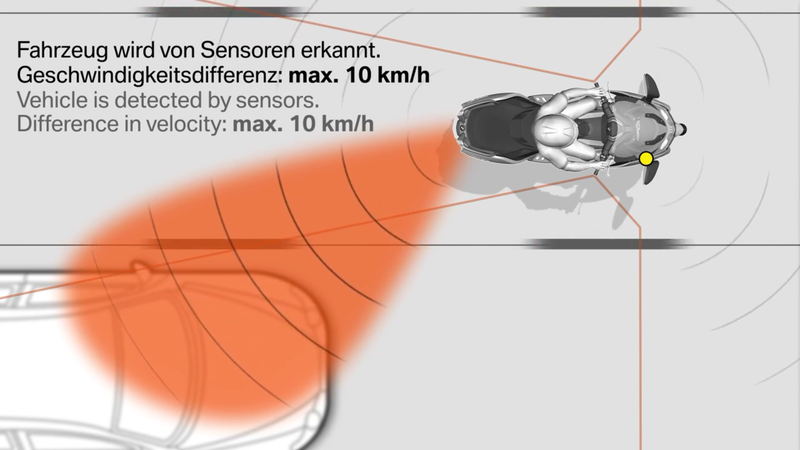 What separates HIDs from LEDs, however, is how that light is dispersed. HIDs are limited by the shape of their reflectors, which is used to disperse the light from the HID bulb and must have a notched pattern cut-off at the top to prevent blinding oncoming traffic. With LEDs, because you have more control of the individual lighting elements, it is possible to tune and overlap the light output of each element to cast just the right amount of light to give you the best balance between distance and side coverage. On the MDX, I feel like the LEDs light up the sides of the road much better than the HIDs of previous generation models and all without sacrificing the visibility down the road. As an added bonus, the LEDs have a much subtler cut-off that feels more natural than the often harsh cut-off necessary with HIDs. Needless to say, if I am cruising around in the dark of night, I feel like the LED headlamps on our long-term MDX or RLX are at the top of my list of options if given the choice. Plus, it does not hurt that they look pretty cool when they are all lit up. I crashed my car a week later." Such stories are probably more common than we think. Young drivers who fail to receive adequate training to handle some of the more unexpected and challenging situations are certainly contributors towards the crash statistics so Michelin, in the spirit of improving driver education, has asked more experienced drivers to share their safety tips with those less experienced. 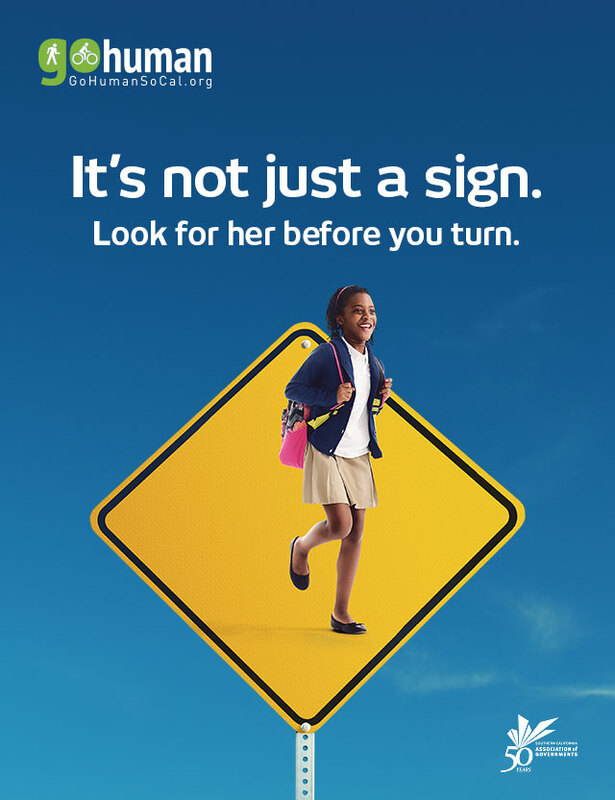 Finding a way to share our collective wisdom to improve the safety of all on the road is a great start towards making a difference in the education process, but it is no substitute for significantly more stringent driver education standards. If you have wisdom to share, simply tag it with #SharingSafety. You can also check out our own Driving 101 collection of posts for some of our tips. The longer term implications of better teen drivers now is better adult drivers in the future. That is a worthy investment, if there ever was one. The development of cycling infrastructure is a constant struggle to balance the needs of cyclists, pedestrians, and motorists. Many municipalities continue to turn to third party design firms for new ideas on how to strike the appropriate balance, and one such firm has adapted a concept that is increasingly popular in Europe and put in place a working example in downtown Salt Lake City. Alta Design + Planning, which specializes in active transit planning drew inspiration from similar intersections in the Netherlands and worked with SLC city planners to get it implemented at a heavily trafficked intersection of two cycle tracks. By adding some small concrete islands in strategic locations, the new protected intersection provides clearly demarcated paths for cars, bikes, and pedestrians, extending the separation and protection offered by the cycle tracks. Additionally, by using the concrete traffic islands, a space is created to shelter bikes that need to make a left turn, making it so that cyclists no longer need to maneuver across several car lanes in order to get over to the left turn lane. This makes the entire process of a left turn much less disruptive to the overall flow of traffic and helps to reduce the potential of crashes resulting from right of way violations. As an avid cyclist, I would welcome this kind of intersection anywhere there are protected cycle tracks. The good news is that several other cities are evaluating similar intersections or in various stages of implementation. In a recent study done by JD Powers, some 20 percent of new car owners do not know how to use half of the technology that they have paid for even three months after purchase. That three month period is considered the sweet spot for adoption of new technologies when an owner purchases a new vehicle so the fact that there is a rather sizable number of people who spend the money but do not actually use the technology should give manufacturers and consumers pause. I see this being a problem from a few different perspectives. For consumers, this means that new technologies are probably being bundled together in a way that more desirable and adoptable technologies such as navigation systems or blind spot detection are combined with systems that people are not using such as in-vehicle concierge services and WiFi hotspots. As much as I dislike the idea of having a car where every single item is a separate option and it is next to impossible to find your exact combination on a dealer's lot, I also feel that consumers are getting cheated here because the bundling of unwanted technology with more desirable technology is a way to drive up the final selling price of the car. It also means saddling a car with more things that impact fuel economy, packaging, and reliability in the long run. For manufacturers, the fact that these new technologies represent possibly millions in resources, contracts, or research costs means that must be recouped somehow. That means raising the cost of vehicles to compensate, but also adds to the challenges of bringing a vehicle to market that meets the fuel economy, safety, and reliability expectations of buyers without giving consumers sticker shock. In a lot of ways, if funds spent on developing these less desirable technologies were funneled into improvements in other areas, such as increasing fuel economy to meet future CAFE standards or improving integration with widely available and adopted smartphone technologies, that would be a wiser investment on the part of manufacturers. For dealers, these less desirable technologies represent a conundrum. Because of how they are bundled, salespeople are often saddled with the unenviable position of explaining to a potential customer why the technology is worth paying extra for. That means they need to work harder for every sale and makes the relationship with the consumer that much more contentious if the consumer does not want or care for the additional technology. Some of the new technologies, however, are great marketing tools and represent a whiz-bang factor that can help sell cars to less informed buyers, but for those in the know, it is just another hurdle in the process. The real problem is that many of these less desirable features are ones that seldom get used aside from serving as a good parlor trick to show friends how cool your new car is. Rather than wasting everybody's time on these types of things, it makes the most sense for dealers to make it clear to manufacturers what people actually want, for manufacturers to stop investing money in areas that are largely unused by consumers, and for consumers to start demanding that these unused technologies start to be replaced by genuinely useful innovations. On my own Ford Focus Electric, I would happily have traded in the Ford Sync system for Android Auto. It would have saved Ford millions in R&D and public derision and I would be a lot happier. While Google's self-driving cars have gotten a fair amount of press recently for accidents they were involved in, one thing that has not been talked about at all is how the self-driving cars are doing a great job of highlighting just how awfully Americans drive. Every accident so far for Google's self-driving car testers on which the technology is being developed has been the result of human error. Whether that was the error of another driver or of the "driver" behind the wheel, each mistake was not the fault of computers controlling the car. In fact, the computers are coded to so strictly follow the laws that it actually got stuck at an intersection with a four way stop because it placed traffic laws and safety above speed and convenience. It followed the rules to the letter when no one else on the road was doing the same. In order to proceed, the programmers had to alter the coding to get the car to be more aggressive and to emulate some of the bad habits of human drivers. The fact that we, as drivers, are pretty much granted the privilege to drive for a lifetime without so much as a cursory follow-up to make sure that we are still driving safely is a pretty scary reality. Most drivers develop bad habits over time and those habits are reinforced when we regularly get away with them. Oftentimes it takes a major shift in paradigm or a life-altering event to get most drivers to even look at their own driving habits and reconsider just how good they really are at the whole driving thing. That does beg the question, if we have to teach the self-driving cars to drive like us while there are still human drivers around on the roads, will the robot cars continue to drive like us when humans stop driving altogether? Will having a self-driving car really make you safer if you are still surrounded by people who cannot drive? What if, and stay with me here, instead of changing how the computers will drive, we start to change how we drive? It is time that our driving legislation caught up with the times and instead of just focusing on easily ticketable offenders designed to bring in money, we focus on equally ticketable offenders that require more attentive enforcement, but are intended to improve safety. Instead of spending money on technology from questionable automated enforcement companies, municipalities could use those funds to require retesting every five or ten years and the fees from the retesting could be used to make the process self sustaining. Police officers, instead of spending time sitting behind a radar gun, could be required to know the driving laws and would actually make an effort to enforce things such as reckless driving, failure to stop at stop signs, or distracted driving. Heck, I will take it one step further and say that perhaps our driving laws should require mandatory training on motorcycles or bicycles as well to boost the awareness of drivers behind the wheel. While not everyone will continue to use it as a means of transport, just the exposure to living on two-wheels could prove a powerful mechanism for delivering the message about how important it is to be attentive and alert when driving. Whatever the case, we should look at the upcoming revolution of self-driving cars as a blessing in disguise and as an opportunity to reshape how Americans approach the whole idea of driving. New legislation will be required to cover these self-driving cars and using that as a way to get changes made to our current laws might be a ripe opportunity. On top of that, we should thank Google for helping to bring to light just how bad we are behind the wheel. 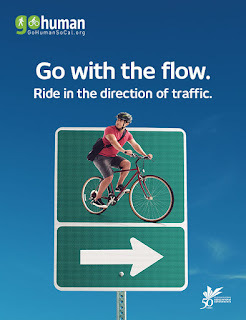 As much as I am a total car nut, I truly love active transportation because it not only encourages people to avoid driving, but has all the added benefits of being healthier, often cheaper, and unquestionably better for the environment. This month marks the launch of the Go Human campaign here in Southern California. The goal of the campaign is to encourage residents of Southern California, one of the most congested and car-centric parts of the US, to take human powered transportation instead of driving. That means more walking and biking instead of time spent behind the wheel. For those who cannot realistically make the switch to human powered transportation, the campaign is a reminder that our roads are shared with all manners of road users, including pedestrians and bicyclists. It might seem that we have been spending an inordinate amount of time lately talking about non-motorized transportation and there is a good reason for that. Despite moving back to Southern California, where I grew up relying on a car to get just about everywhere, my wife and I have made the conscious decision to live in a location that offers us great flexibility when it comes to transportation options. Not only are we able to walk to take care of most of our day-to-day needs, we are located within easy walking distance of the LA Metro, which offers a straight shot into downtown LA for my wife's job, and we are located right in the heart of Long Beach's numerous bike paths, giving us access to much of the city by bike. Our desire stems from the decade we spent on the East Coast, where cities are structured in such a way that walking, biking, and mass transit are legitimate and generally ubiquitous options for getting around. We wanted to emulate that convenience and flexibility even though we are living in Southern California. The Go Human campaign is a great reflection of these values that we brought with us from our time out east. The idea that people can move around their communities without the sometimes financially crippling costs of car ownership is an excellent one as it opens the doors to opportunity for people who might otherwise be stuck between finding a job that they can get to or finding a job that pays well. By electing to utilize human powered transport, we not only tell our city officials and legislators that they need to spend money on the infrastructure to facilitate active transportation, but we also guide the way cities are developed, with a greater focus on accessibility for all. 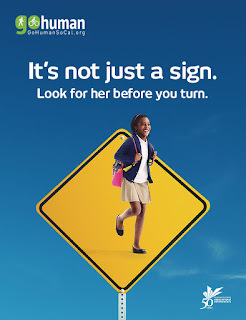 While Southern California is certainly not going to morph overnight into a pedestrian and cyclist wonderland, my personal hope is that this campaign can help encourage a few more people to walk or bike for transit and that it helps illustrate to drivers the importance of being attentive of and courteous to the vulnerable road users that are a part of the traffic around them. 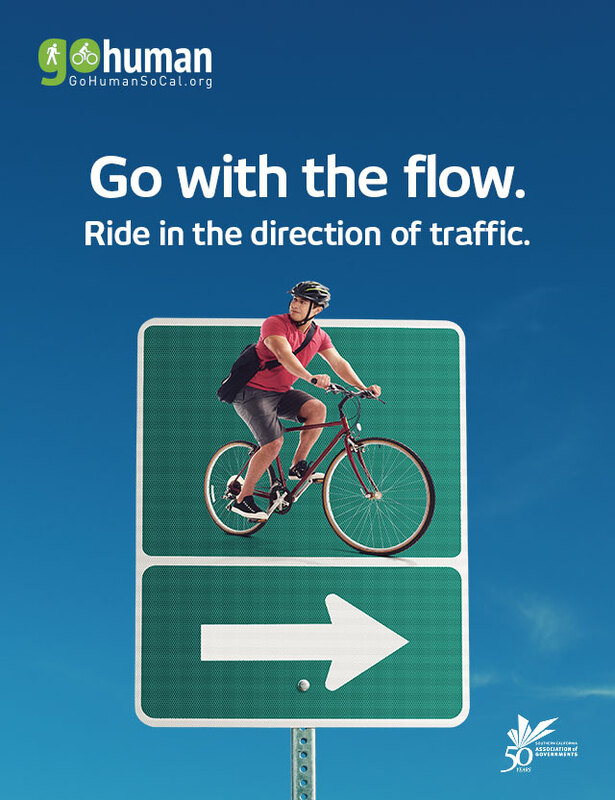 Equally important, the campaign reminds pedestrians and cyclists to do their part and follow the rules to make themselves safer as well.